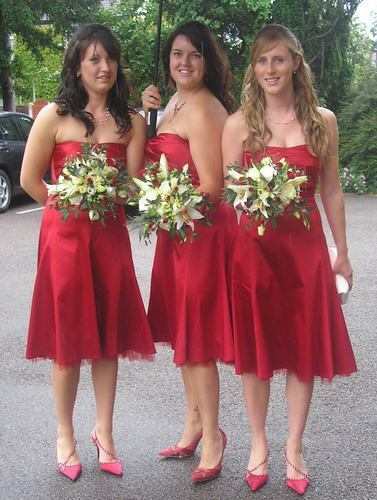 The bride's bouquet is definitely the starting point for choosing personal flowers -- all the other arrangements should complement hers. 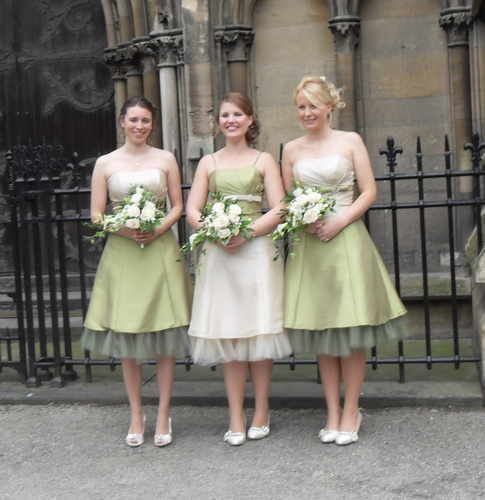 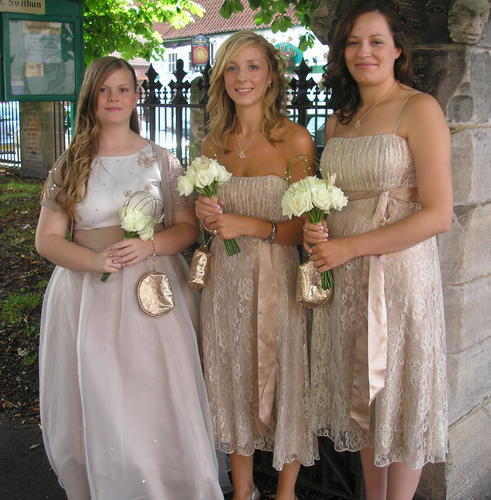 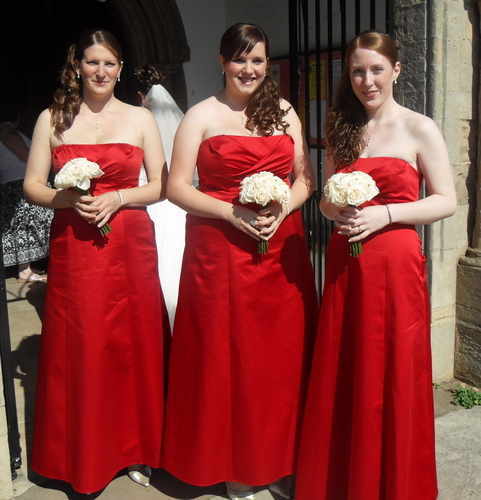 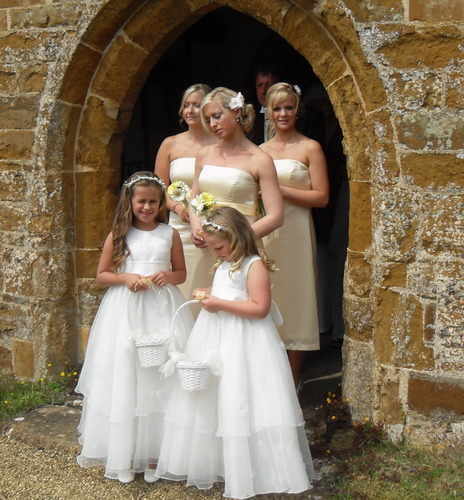 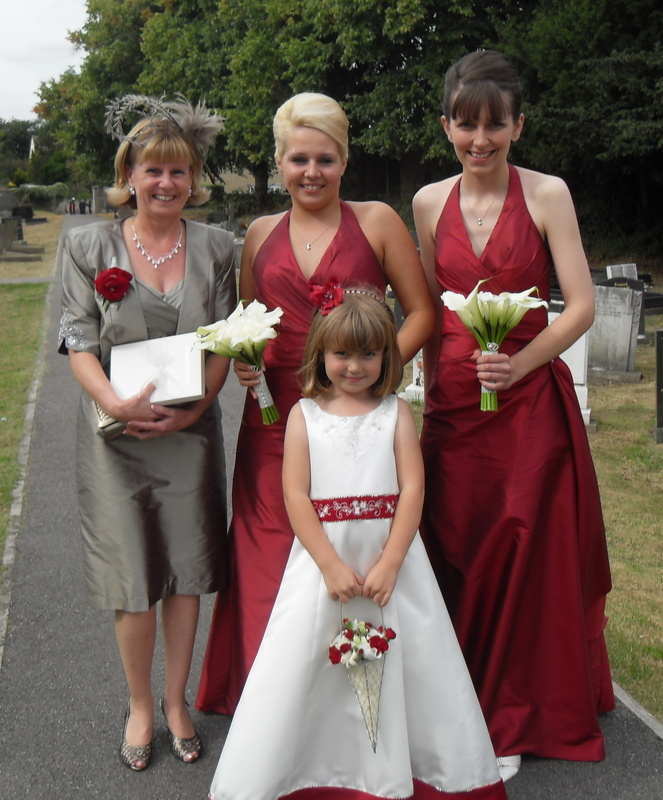 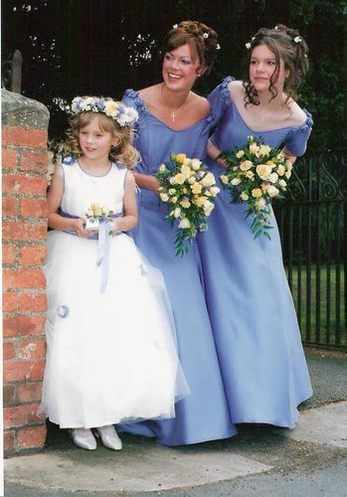 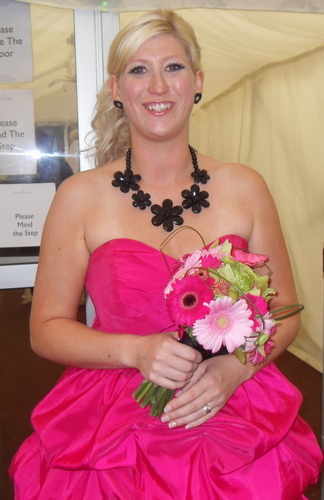 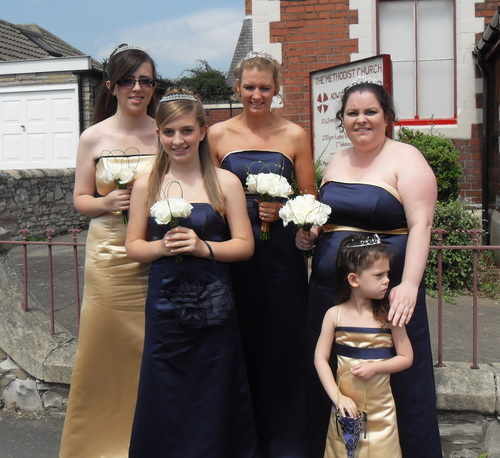 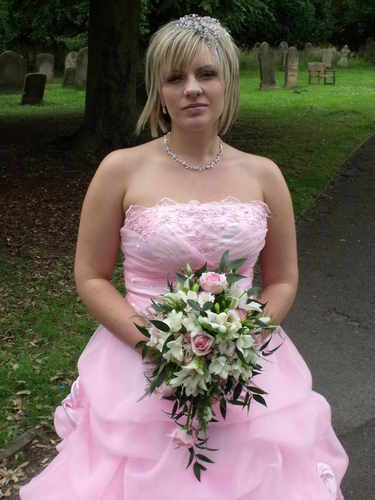 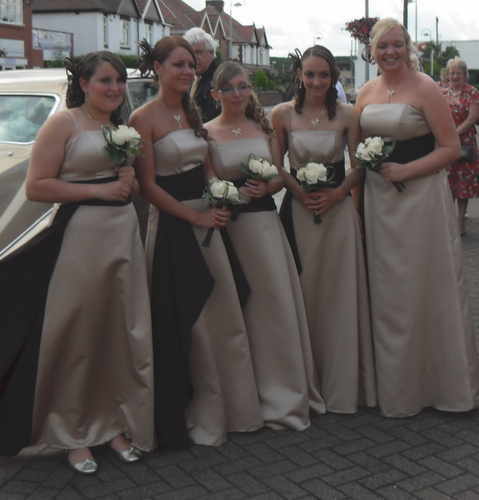 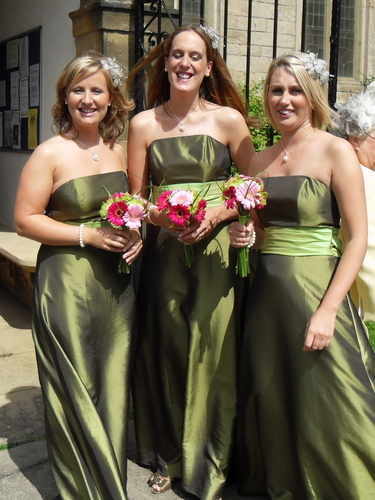 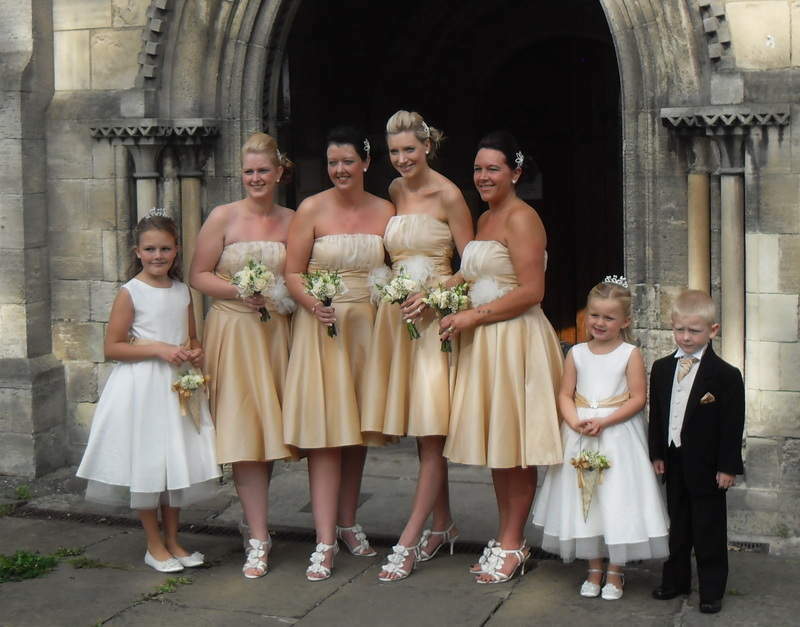 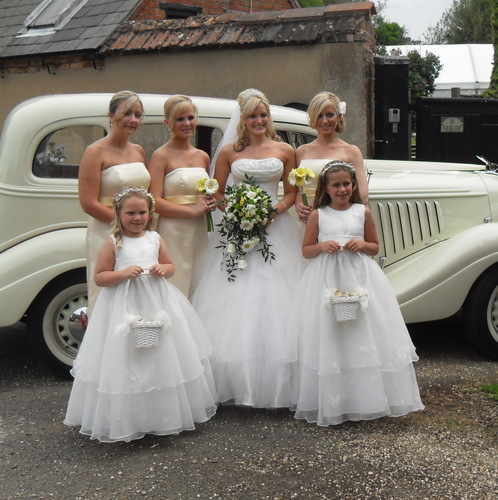 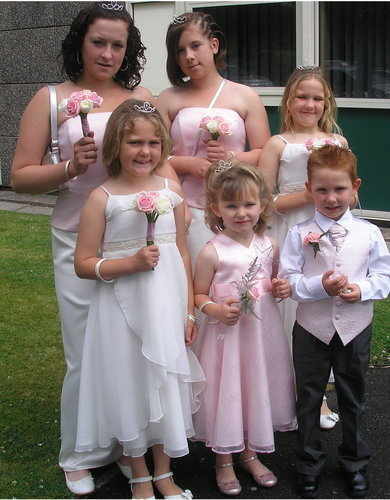 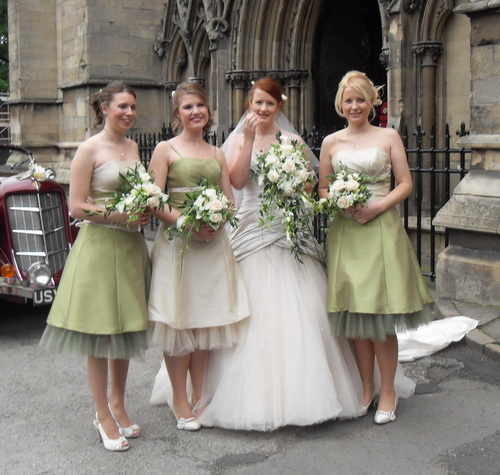 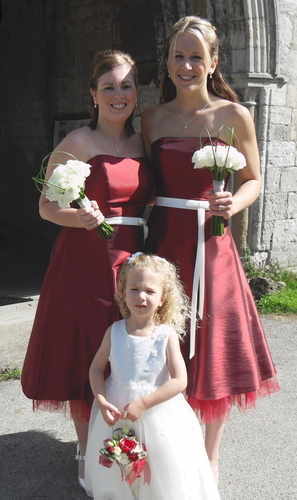 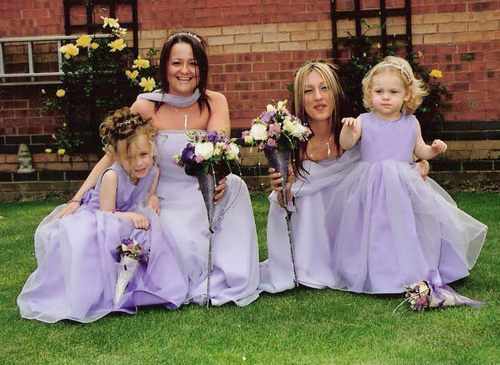 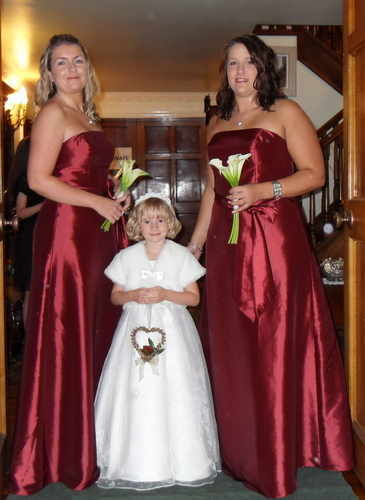 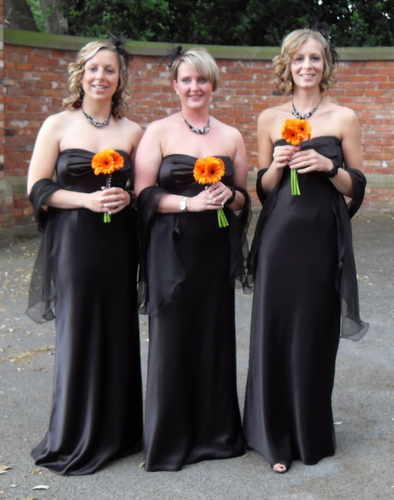 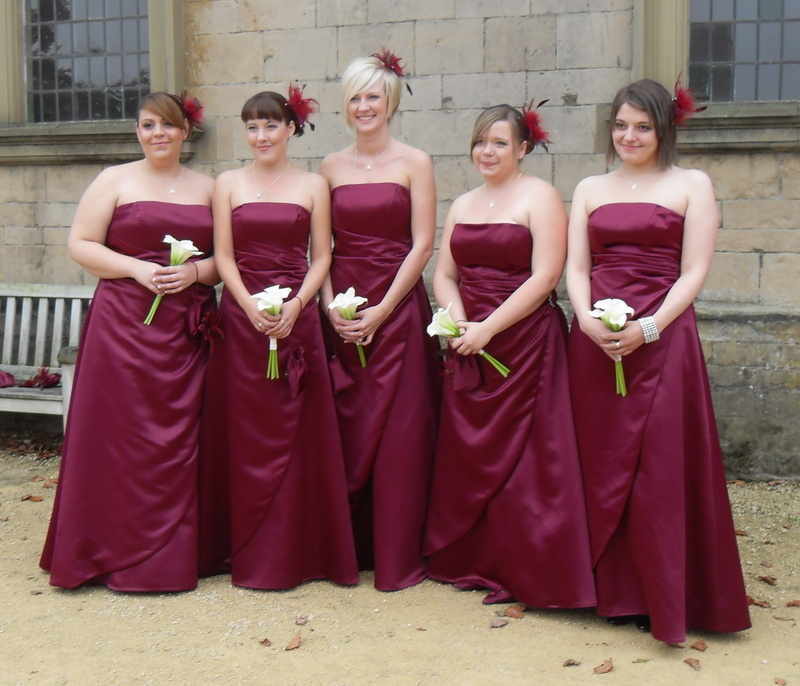 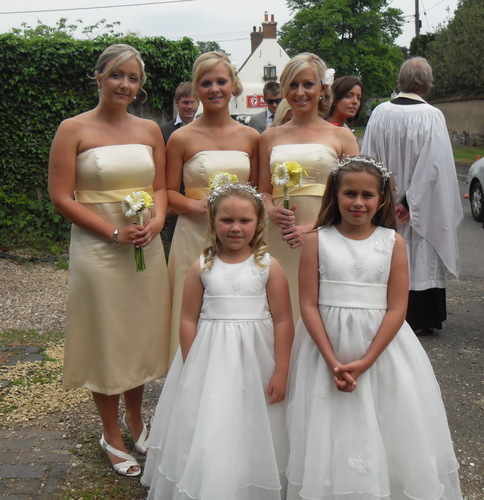 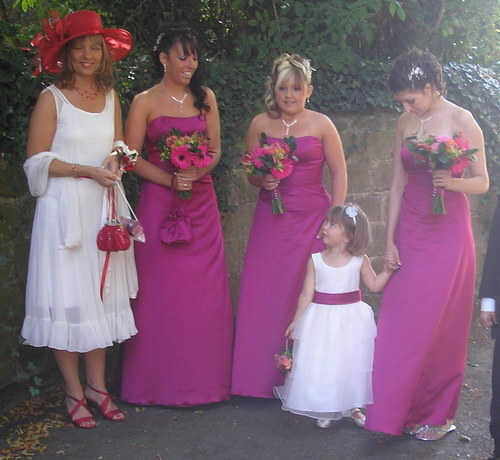 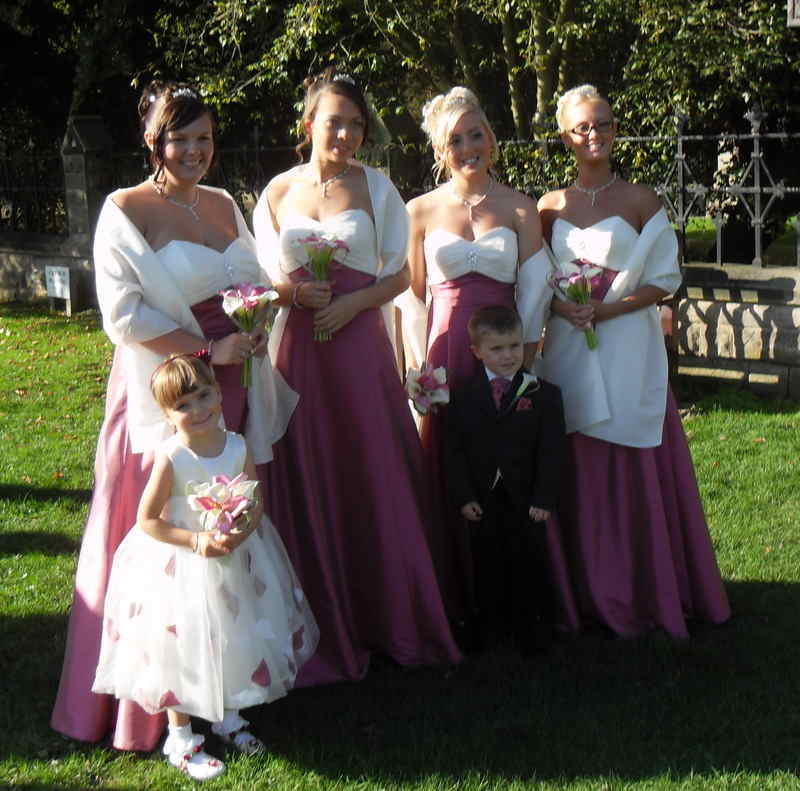 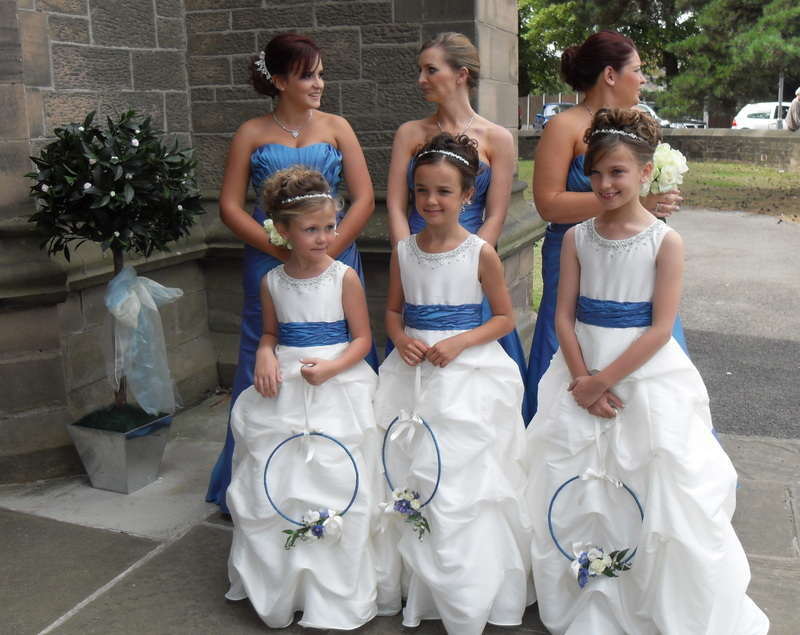 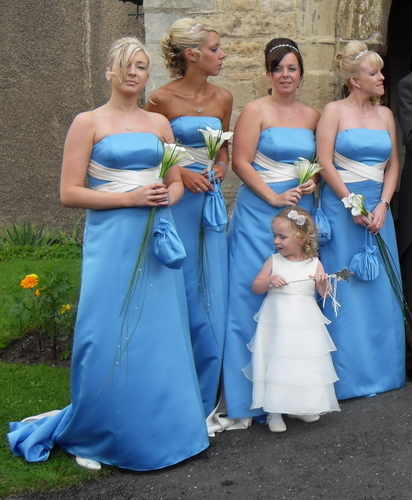 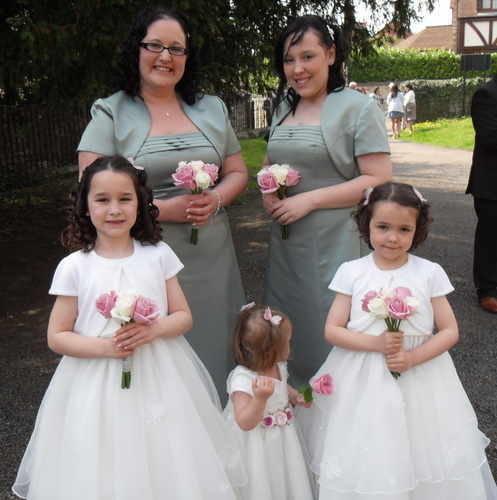 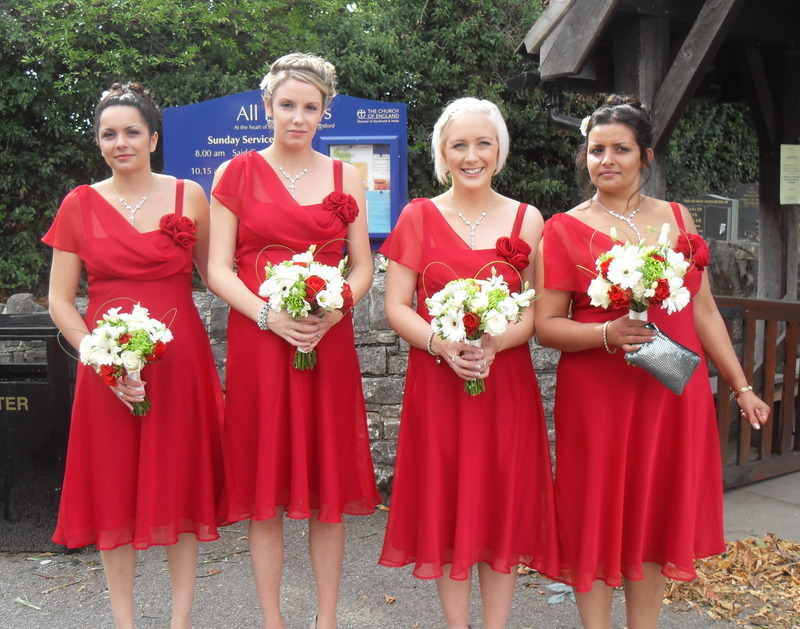 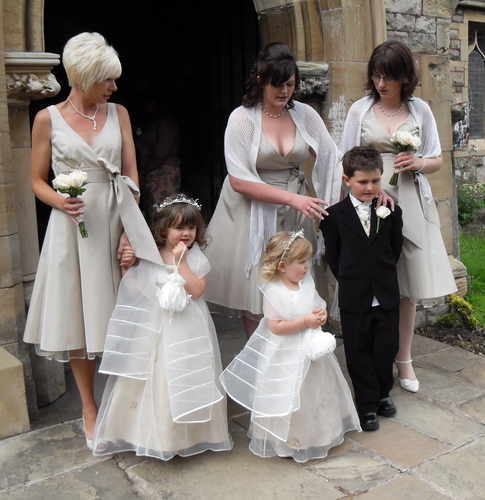 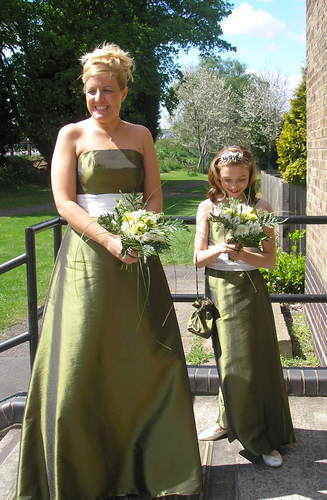 The bridesmaid bouquets often echo the colour and shape of the bride's but are usually smaller. 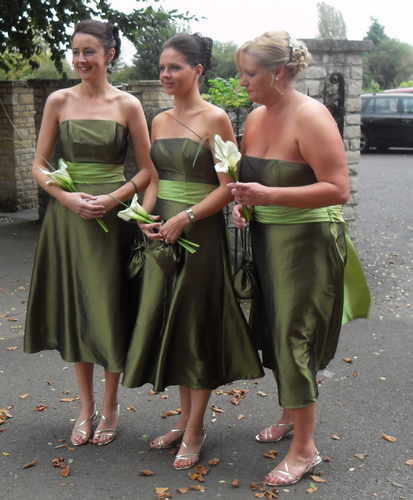 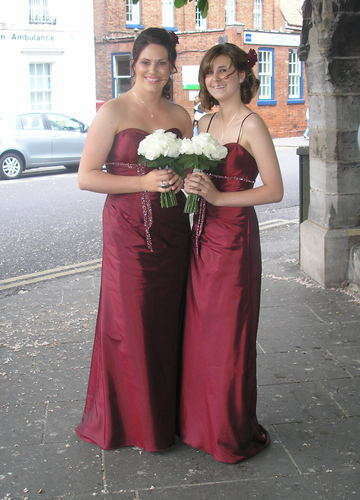 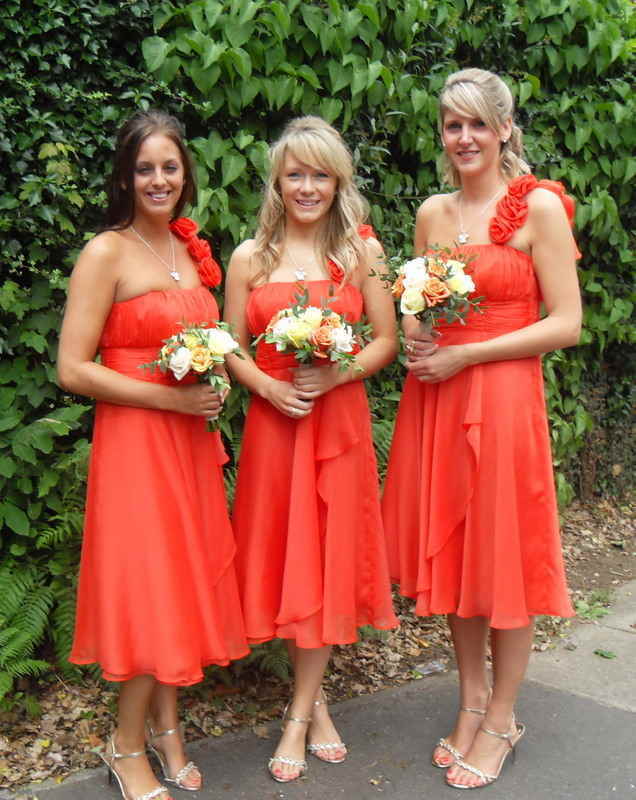 Of course, they should also complement the colour of the bridesmaid dresses. 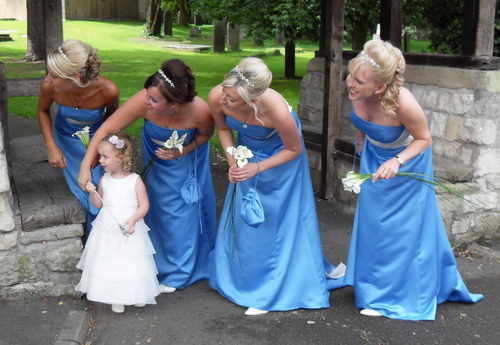 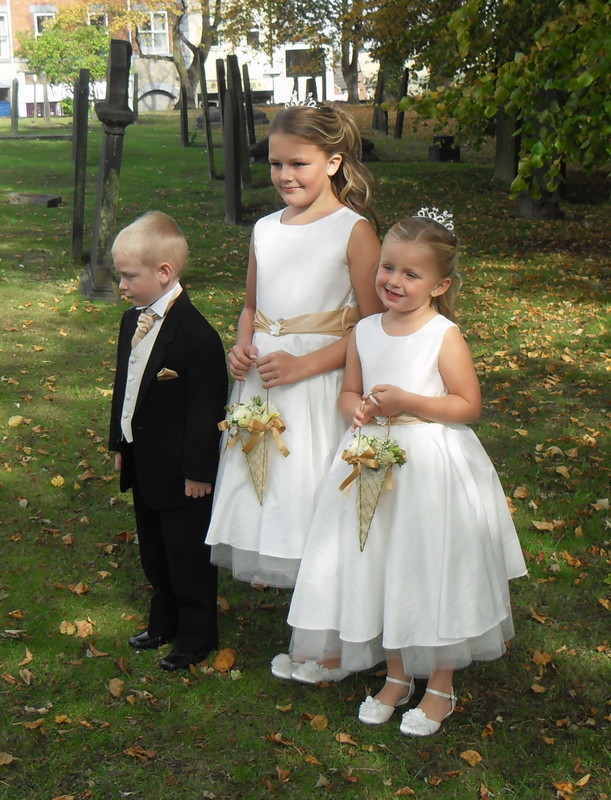 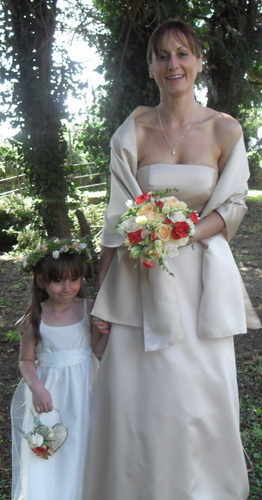 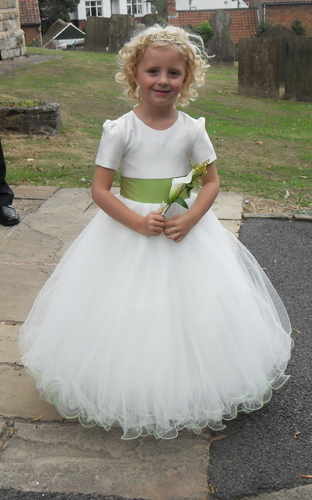 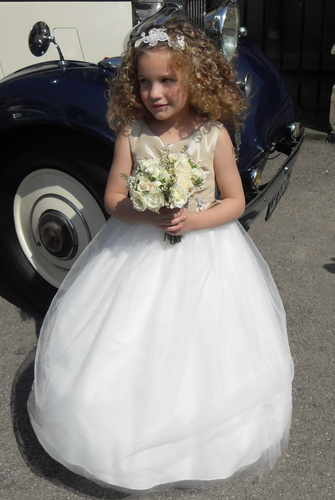 Flower girls can carry mini bouquets that match the bridesmaid bouquets; wear a head wreath of the same kind of blooms from the bride's bouquet; or carry a basket of petals or a pomander (a flower ball suspended on a ribbon).